Trip highlights: China top 5 destinations + Three Gorges + Tibet tours, visit Great Wall, Terra Cotta Warriors, Potala Palace...Beijing, Xian, Shanghai, Suzhou traditional gardens, cruise in Guilin. Visit ancient water town of Tongli in the morning. In the afternoon, you will be tranfer to the Shanghai airport for the flight to Guilin.Meet another tour guide at Guilin airport. Free time to enjoy a wonderful evening for the first night in Guilin. 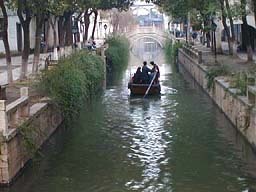 Tongli Old Town Located about 20 km from Suzhou, Tongli is a town built in the Ming and Qing dynasties. Surrounded by several lakes. Guilin Guilin, blessed with stunning natural splendor, is a scenic town in North Guangxi, China, ranked top 10 tourist destinations in China. Popular sights include the Li River Cruise, Seven Star Park, Reed Flute Cave, Elephant Trunk Hill, etc..
[ Optional ] Zhengyang Pedestrian Street: Every evening, thousands of locals and travelers will rush into the Guilin Zhengyang Buxing (pedestrian) Street for shopping, entertainment and dining. The dazzling lights from various shops, the bubbling people, the multifarious goods justify this stree's reputation as "Shopping Heaven in Guilin". Drive about 3 hours from Downtown Guilin to Longji, visit Longji Rice Terrace. 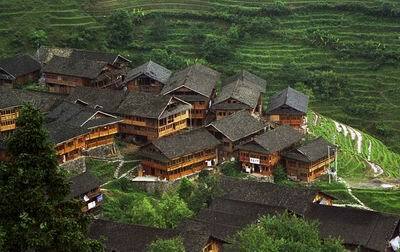 Stay overnight in a village on the summit of the mountain. [ Optional ] Huangluo Yao Longhair Village: Huangluo Yao village is located at the foot of a mountain with a beautiful river zig-zagging around Longsheng rice terrace. It was known for the long hairs of Yao ethnic women. They use a long cloth to twist the hair into a knot, go down to the river to wash their hair in summer time. Leisure trekking in the early morning to visit villages nearby. 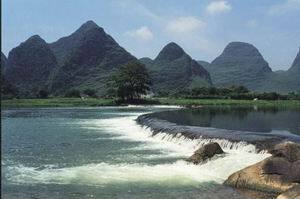 Drive back to Guilin to visit attractions in downtown area. Elephant Trunk Hill Situated on the west bank of the Li River, the Elephant Trunk Hill is shaped like a huge elephant with its trunk going into the water, so it is named as so. It’s worthwhile climbing up it to have a great panoramic view of Guilin and the natural scenery from the top. [ Optional ] Evening cruise on Li River and surrounding lakes: Guilin is gifted with water. Two Rivers and Four Lake Scenic Aare is a park-like scenic area which can’t be missed out. This area is filled with trees, plants, meandering path and small pavilions, which is one of the favorite places to stroll for visitors and residents. Drive one hour to the dock in the morning. The total Li River Cruise journey is around 30 Kilometers and takes 4 hours, lunch servied en route. Free time in Yangshuo in the afternoon. We will stay overnight in this lovely small town. West Street It is an ancient street with a history of over 1,400 years and lies in the heart of Yangshuo. It now draws visitors for its unique mix of cultures. The 2000-m-long street enjoys various bars, cafes, restaurants,art crafts and souvenir stores, foreign language clubs and even Kungfu schools. Morning cycle along trails to see rice paddies, farm house, green limestone hills and countryside. If you do not liking biking, we will drive there. Visit Moon Hill on the way. Take 1 hour for going up and down the hill. Later today you will be transferred to airport for your flight to next destination (Most people takes 1 hour flight to Hong Kong and stay 2 nights before going home). Moon Hill Moon Hill, one of the highlights in Yangshuo, gets this name as a moon-shaped hole penetrating a limestone pinnacle. You will enjoy various perspectives to appreciate the wonder, here the caves taking on different looks of “full-moon”, “half-moon” or “crescent moon”. Yulong River Yulong River is a small tribute of Li River, winds through rice planting fields, farm house, fishing bonds and thousands of limestone peaks. 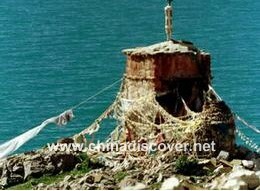 Many small dams have been built on Yulong River, still can see some relics of these ancient dams, which are used to hold water at a high level. [ Optional ] Bamboo Rafting on Yulong River: Rafting on the Yulong River is relaxing and can be an opportunity to spend good time with your family. The perfect combination of water, ancient bridges, Karst mountains and countryside scenery makes this rafting trip one of the favorite choices of photographers and artists coming to the area.